Posted by jeffrooney in Egoscue, Movement, Posture, Posture Alignment Therapy. One of my favorite sections of the “Pain Free” book by Pete Egoscue is the chapter on shoulders and common problems we posture alignment therapists see involving the shoulders. He offers the observation that in our society the shoulders are “in a box” with increasingly limited range of movement. It’s as if an invisible barrier prevents our arms from moving every which way they are designed to move. He talks about how our shoulders are both a ball and socket joint and a hinge joint offering an extremely broad range of movement possibilities. Well that invisible barrier is very tied to the device I am using to write this post – the computer. It has my arms hugging my sides, only partially extended in a forward hinged position. Or maybe it’s the driving or any number of limiting uses of the full range our shoulder design allows. Guess what common shoulder position we see in almost everyone who comes in for a therapy session? Rounded forward of course! 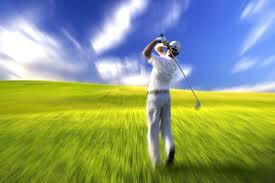 That rounded position then becomes a curse should we decide to throw a ball or reach overhead for something – finding ourselves straining against the limits the changed positioning allows. Then the other thing that is intriguing in this chapter is that one of the most important exercises used to restore proper shoulder position is his most famous “ecises” called the supine groin progressive which is all about restoring proper hip positioning from side to side. Hmmm, makes you wonder about how the hips and shoulders are connected? Got down on the floor? Crawled on your hands and knees? Bore weight over your head? Reached behind you left and right? Whirled your arms at the shoulder sockets? Raked leaves or grass clippings? Swung a bat with both hands? Swung a stick or a racket with one hand? Carried more than ten pounds in each hand? Lift more than 20 pounds with both hands off the floor? Delivered a forceful blow with your arm and hand? Held both arms up and out to the sides? Put both your hands on top of your head? Balanced on one foot atop a bench, log or stump? Walked up a flight of stairs? Took more than one step at a time (ascending and descending)? It’s quite a list isn’t? 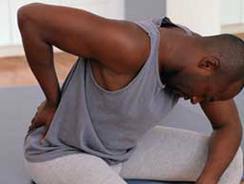 If we don’t use all the muscles involved in these and many other types of movements we are capable of by design then of course our body will begin to conform to the limited demands and become increasingly dysfunctional. It will become mal-positioned in its structure and then lots of problems start cascading. Two things I recommend. 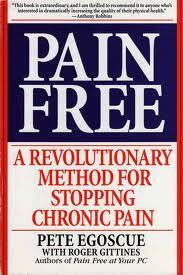 The first is to get a copy of the Pain Free book and study it. The second is to start doing as many (and more) of the activities I just listed. They don’t have to be done all at once. Just consciously begin to engage in the kinds of activities and movements that utilize this wonderful body we are gifted at birth. Remember – move it or lose it!